Welcome to my new online store! 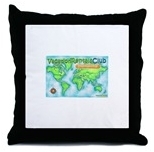 Thanks to CafePress.com, We are now selling a number of products with unique graphics on them. Please feel free to browse my store and buy anything you like!